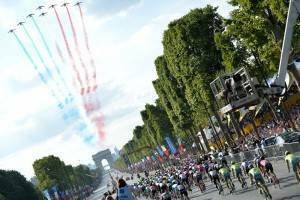 Every year the Tour de France, the biggest cycling event in the world, has its spectacular finale on the Champs Elysees in the centre of Paris. 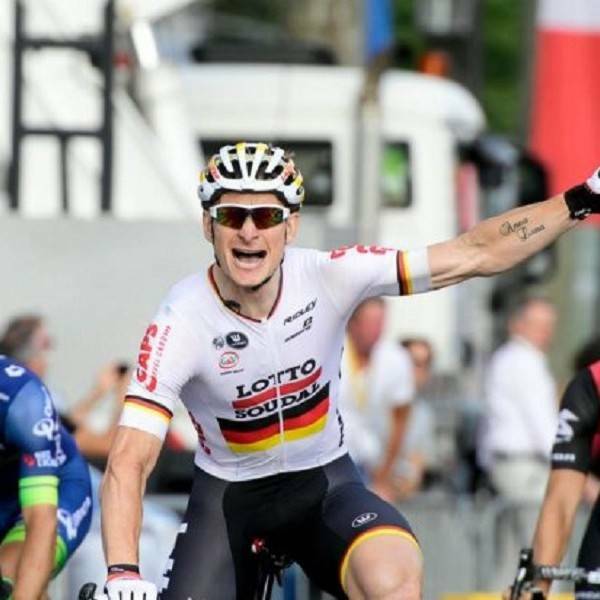 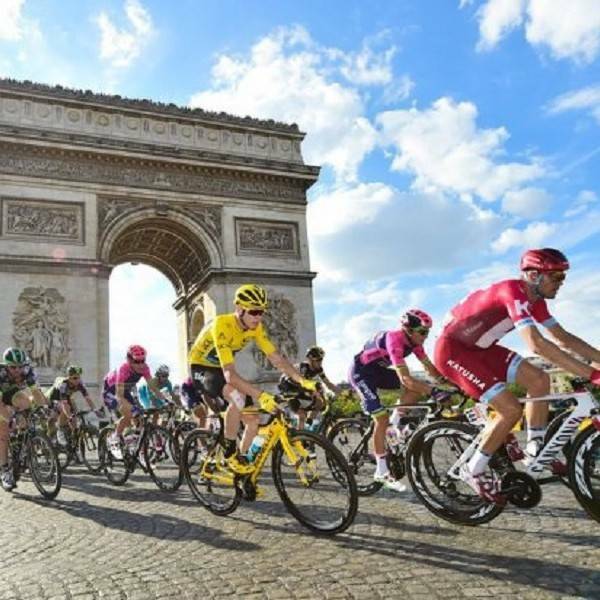 Due to the high profile of the last day, the final stage of Le Tour is very prestigious, usually culminating in an exhilarating race for the finish between the worlds’ top sprinters! 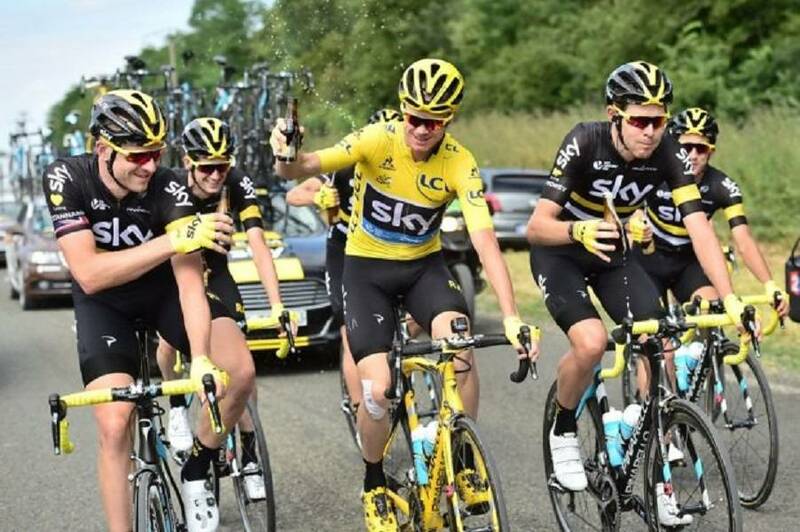 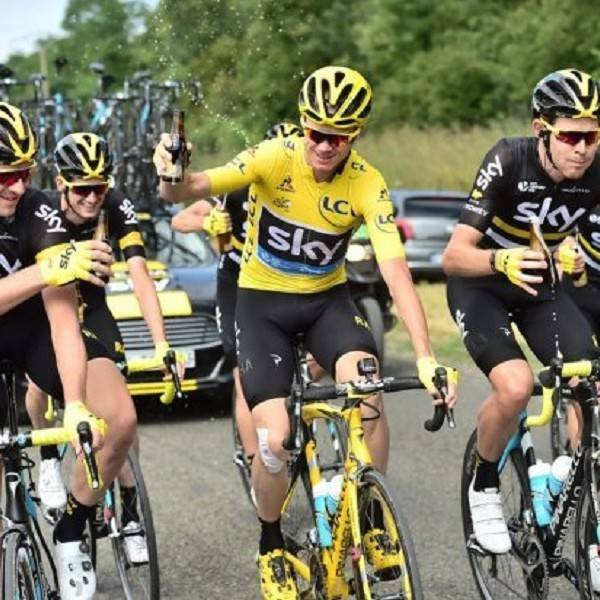 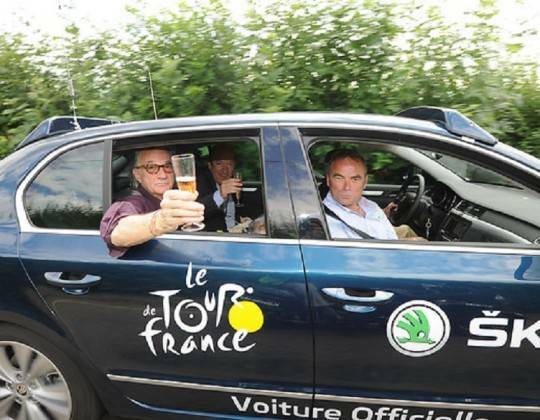 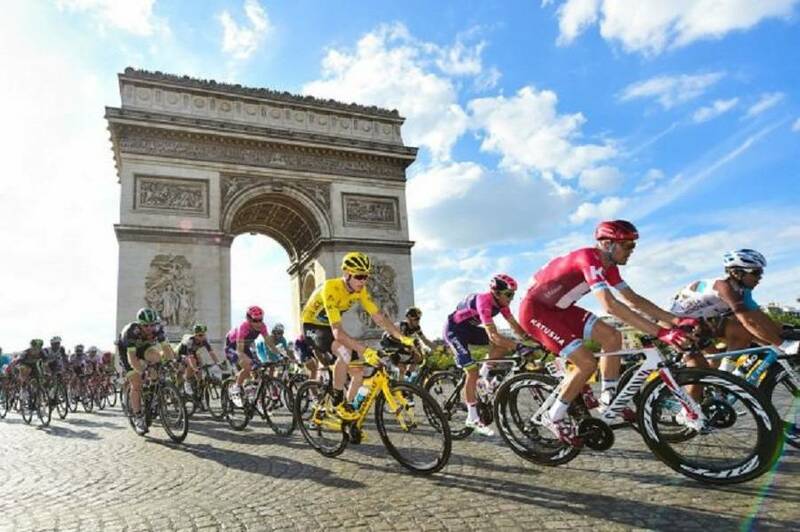 You can be there too experiencing Tour de France Hospitality and VIP access! 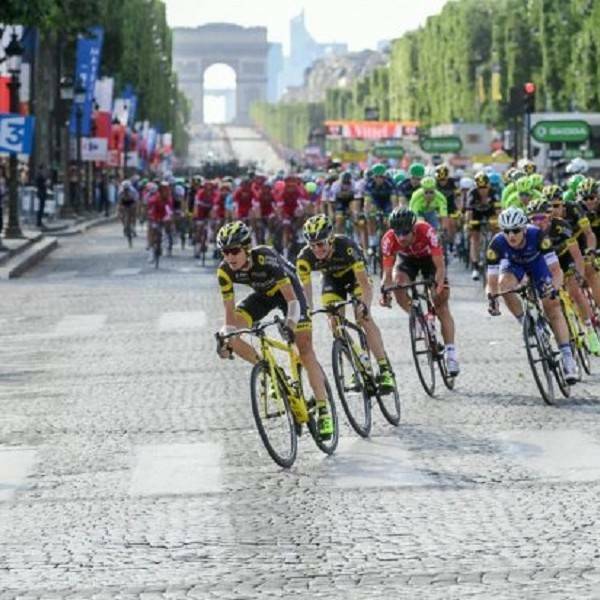 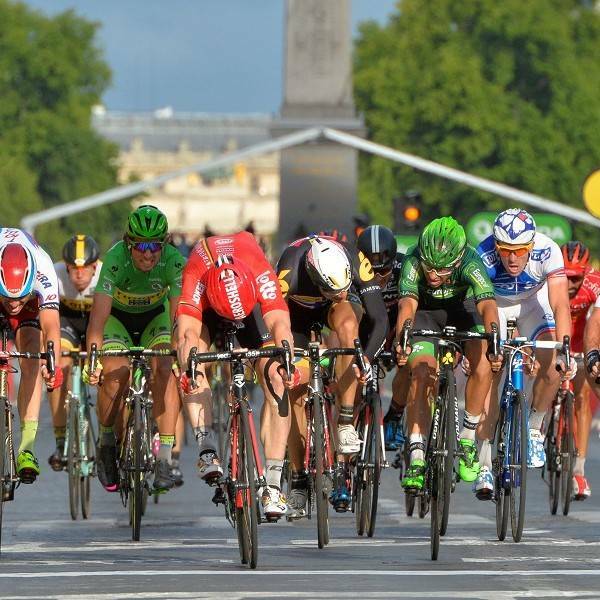 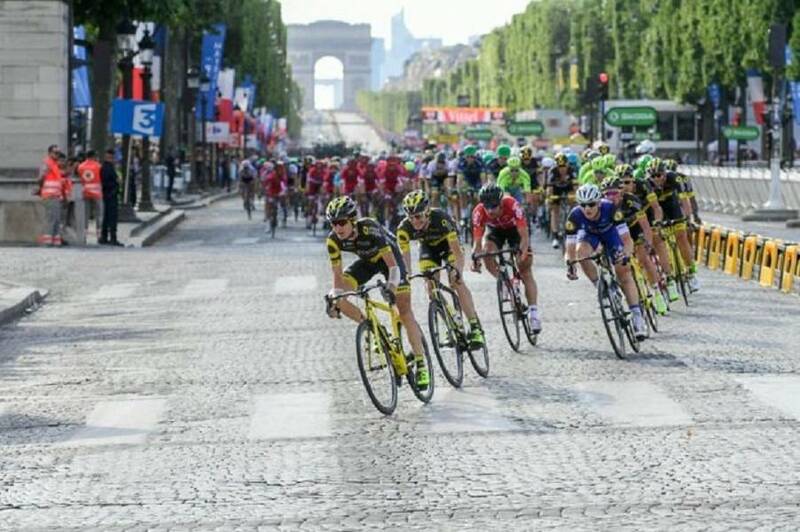 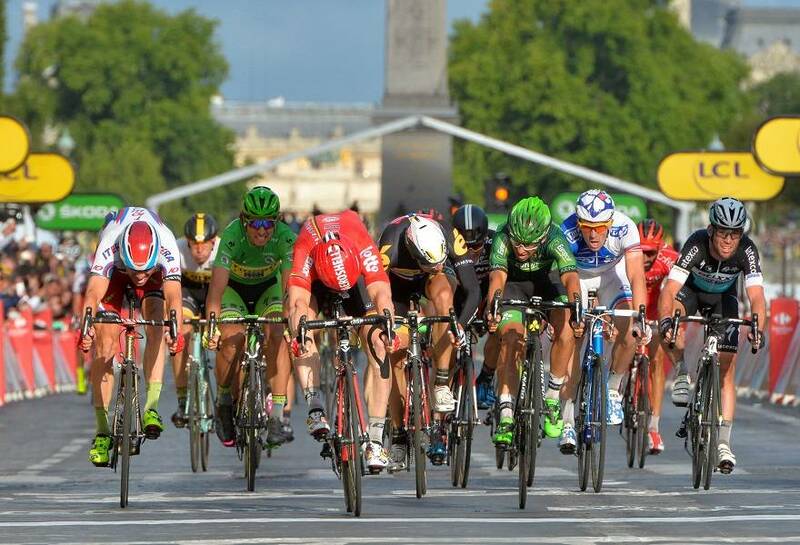 The 2019 Tour de France has its traditional finish on the iconic Champs Elysees on Sunday 28 July 2019. 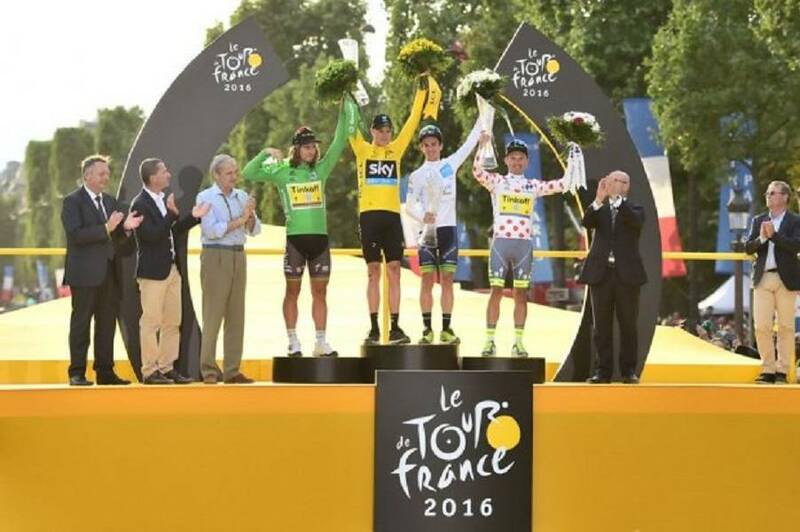 This is one of THE most special days of the sporting calendar. 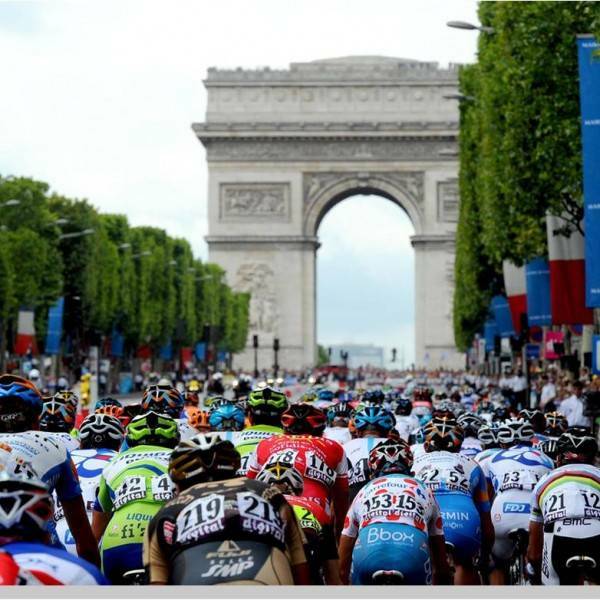 We offer a selection of hospitality and grandstand options to watch the finish of the Tour de France in Paris. Located in front of the finish line, the Espace Rive Gauche provides a high-quality service. 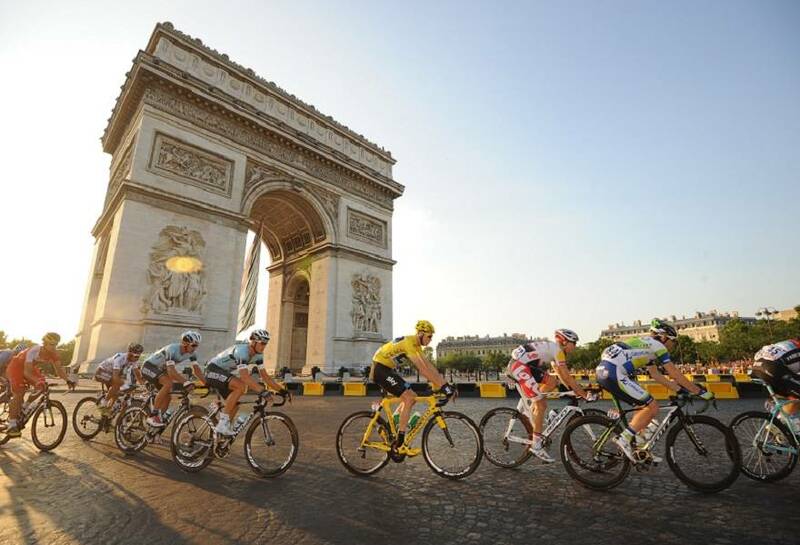 You will be up front and centre to experience the exhilarating final finish of the Tour de France. NEW for 2019 are E-tickets so your access ticket will be emailed to you in advance so no need to wait for them to be posted or to collect them in Paris. 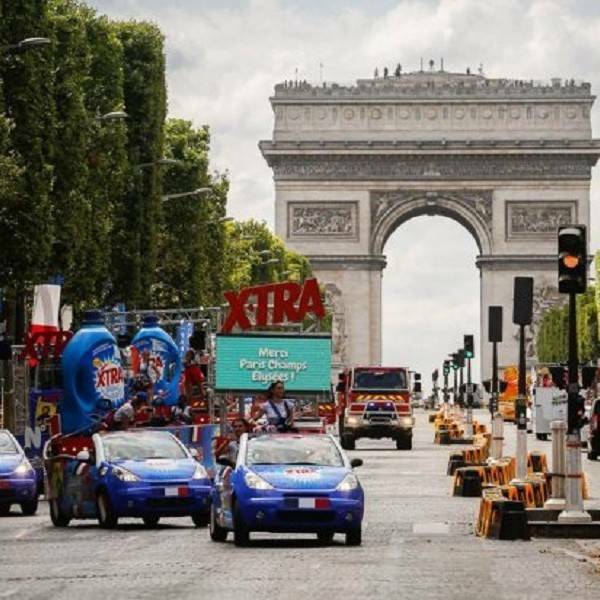 Please note that no paper invitation will be provided and that the only means of access authorized on July 28th on the Champs-Elysées will be the E-invitation. 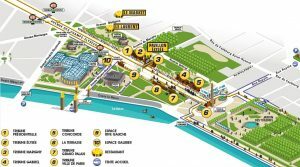 Please click here to see the location of the various hospitality options and ticket collection locations. 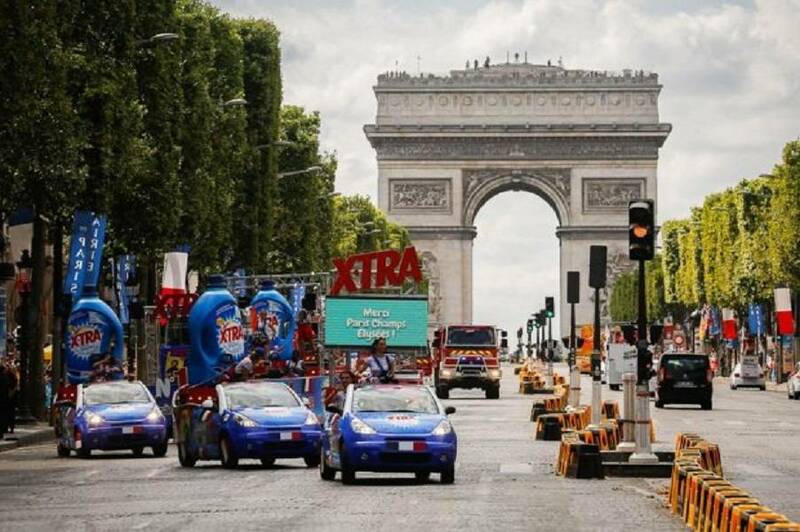 18:00 – Arrival of the publicity caravan. 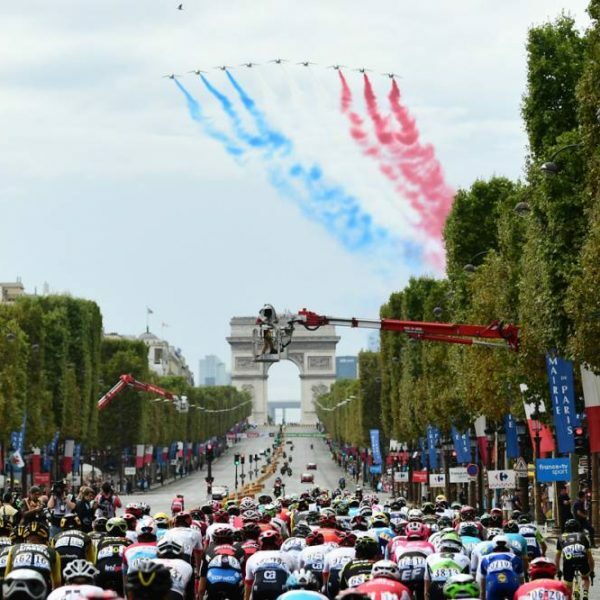 The overall General Classification of the Tour de France is usually decided before the final stage but winning on the Champs Elysees is a glorious feat and is celebrated with lots of pomp and ceremony. 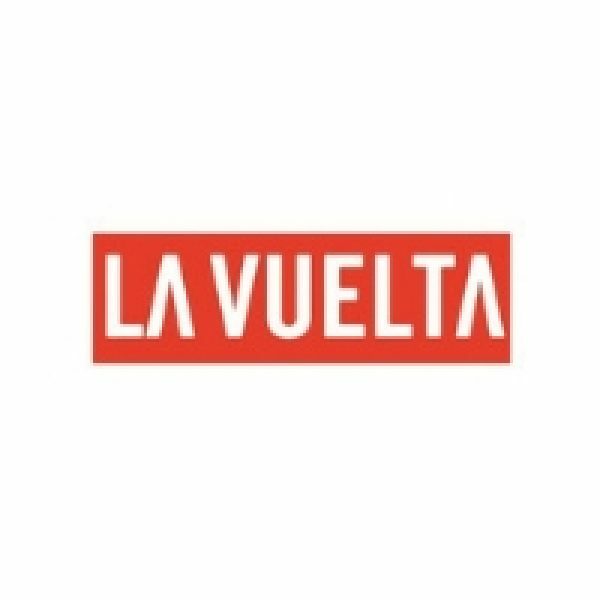 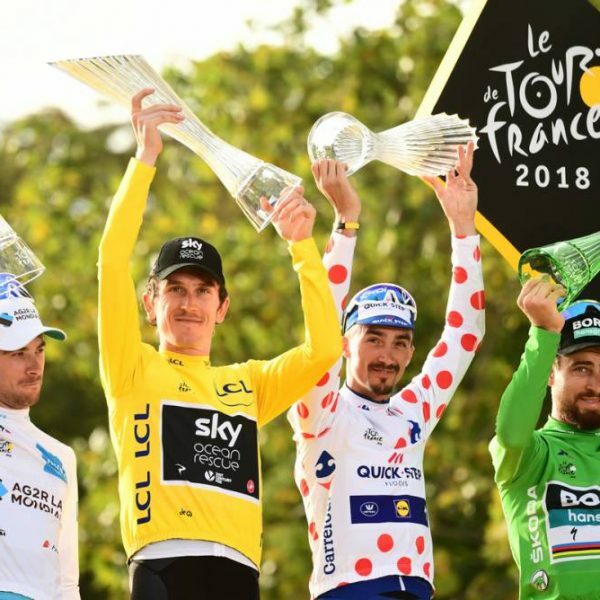 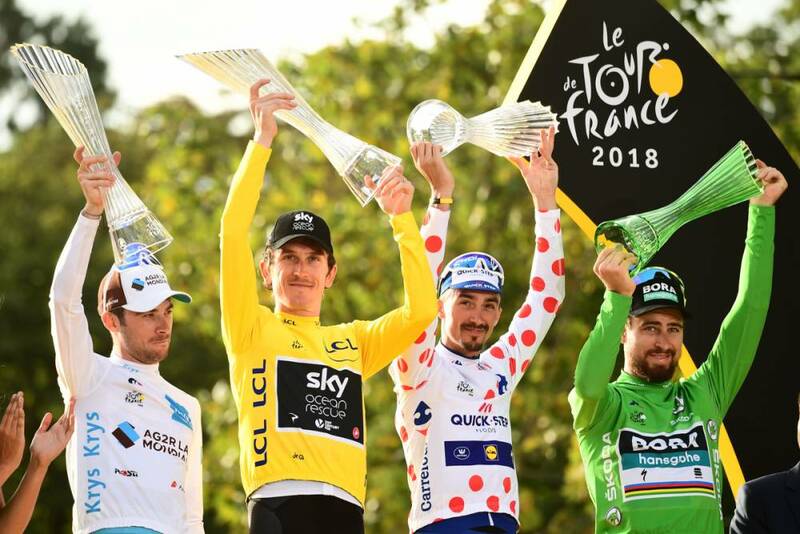 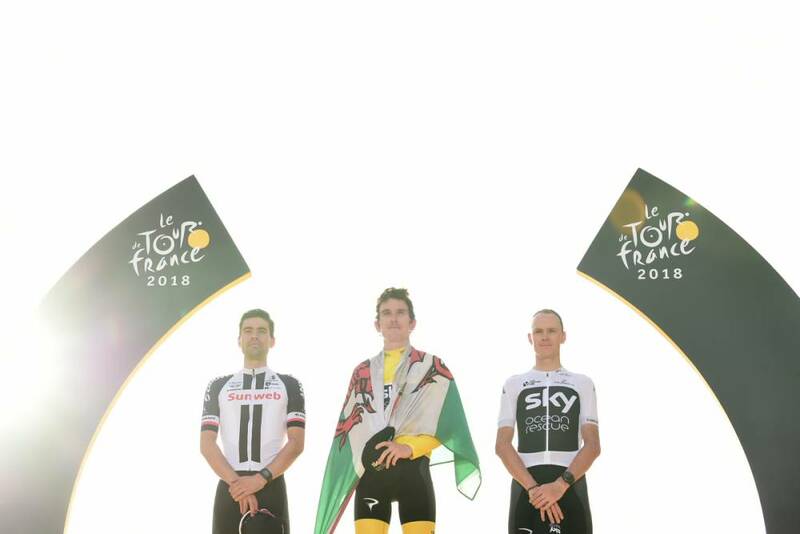 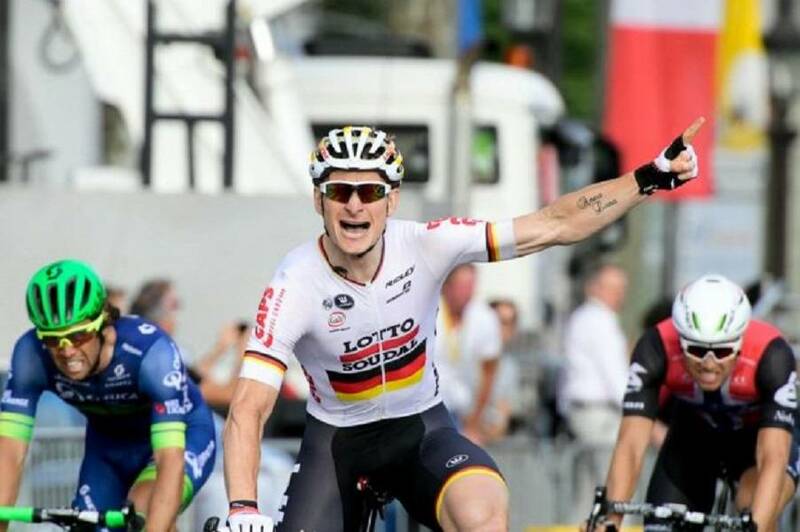 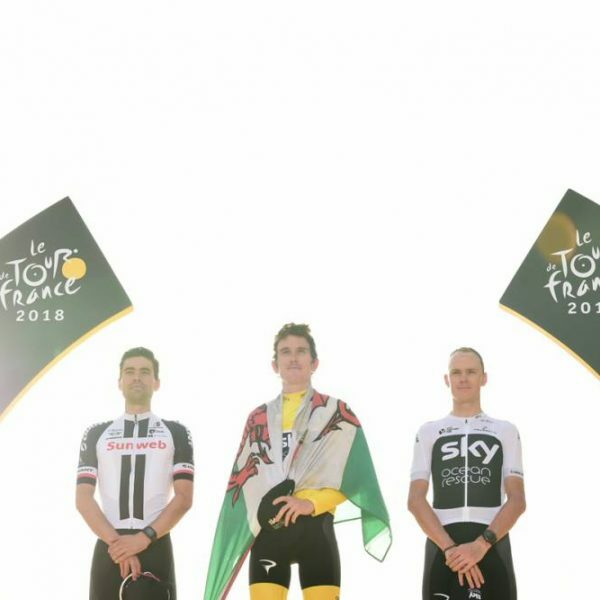 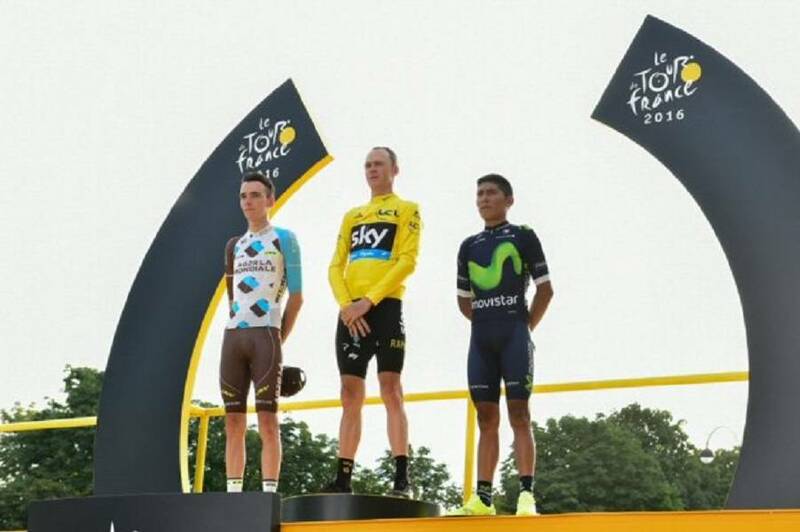 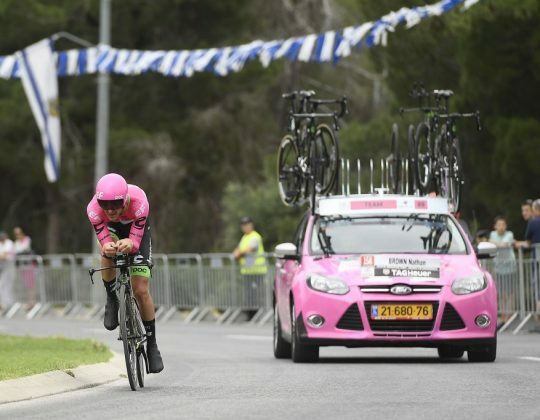 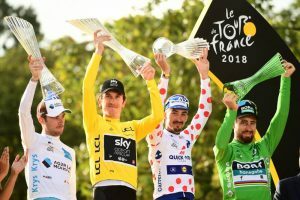 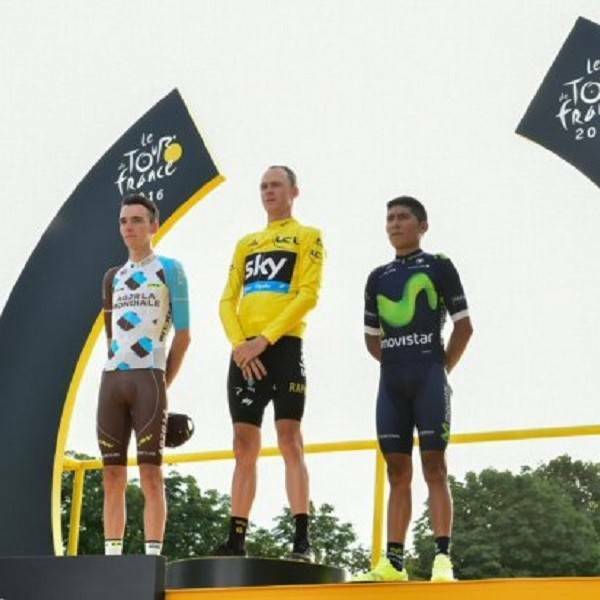 The winner of the general classification of the 2019 Tour de France will be decided already but sometimes the winner of the points classification and therefore green jersey winner is decided on the final day. 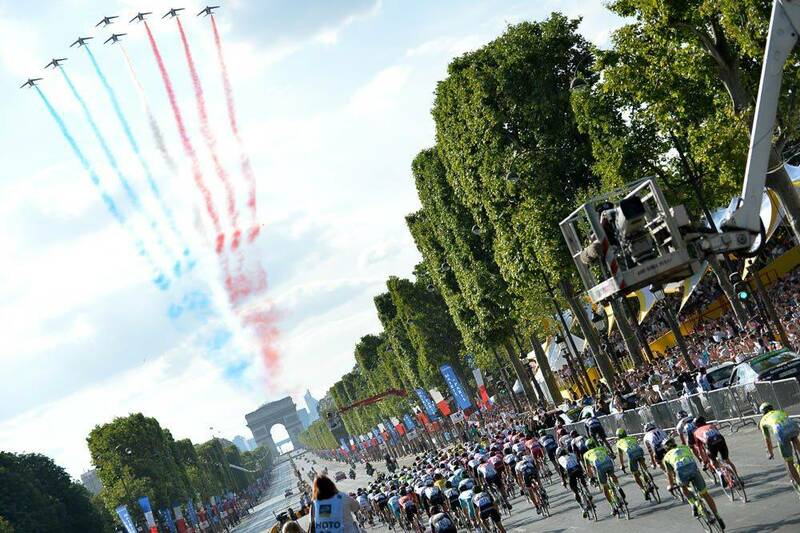 When the Tour riders reach central Paris, they enter the Champs-Élysées via the Rue de Rivoli on to the Place de la Concorde and then the Champs-Élysées itself. 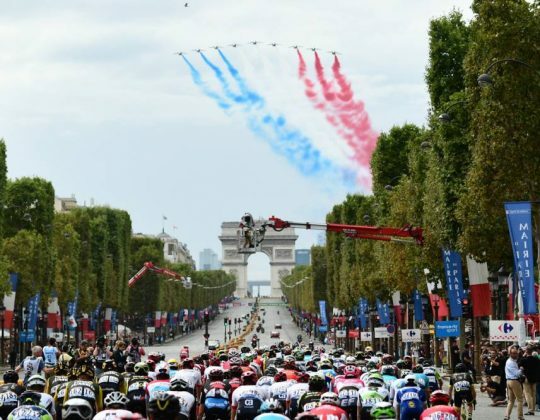 The riders will do a total of 8 laps on a circuit which goes from the Arc de Triomphe, down the Champs-Élysées, round Les Tuilleries and the Louvre and across the Place de la Concorde back to the Champs-Élysées. 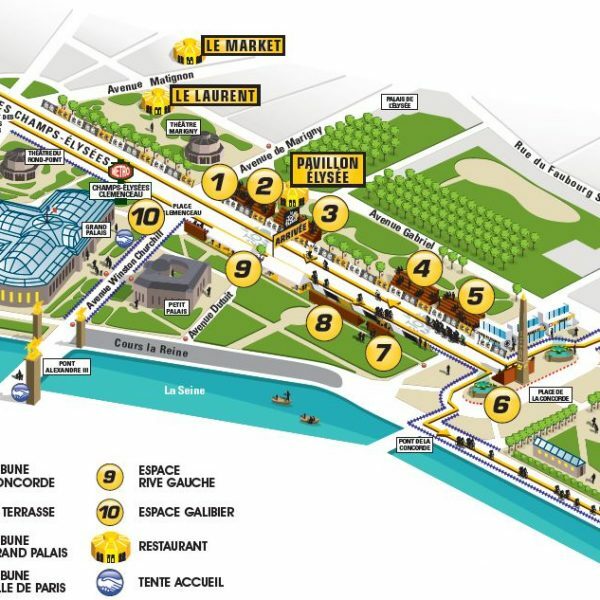 Located on the left side of the Champs-Élysées, just next to where the peloton will pass, the “Grand Palais” grandstand is where you will have a front row seat for the finish. 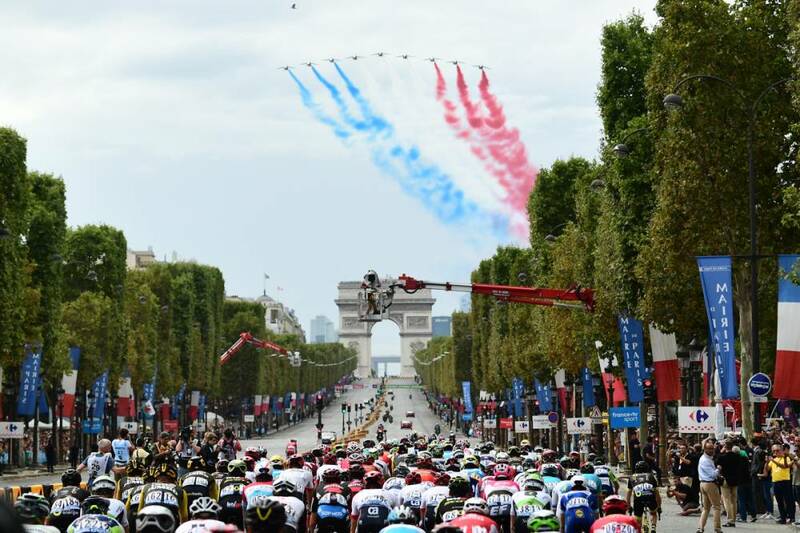 Adjoining the “Presidential grandstand”, the “Élysée” grandstand enjoys a strategic location just behind the finishing line. 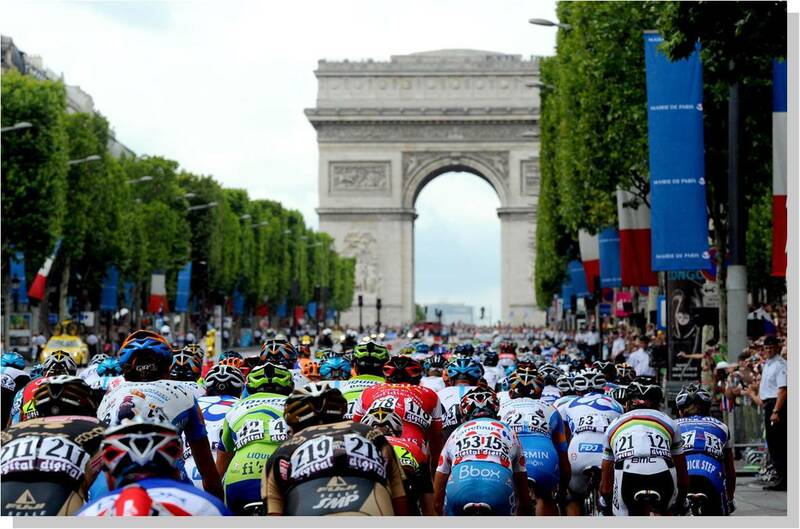 breath-taking view of the most beautiful avenue in the world. 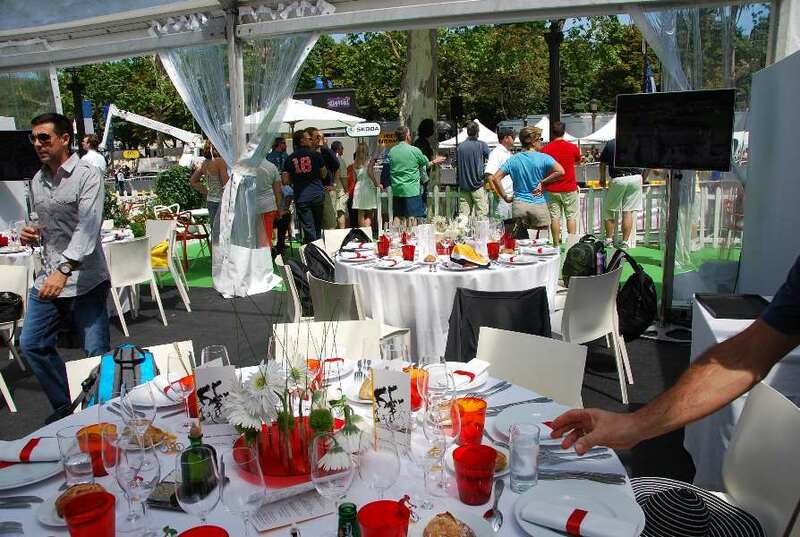 The Tribune Elysee with food included. 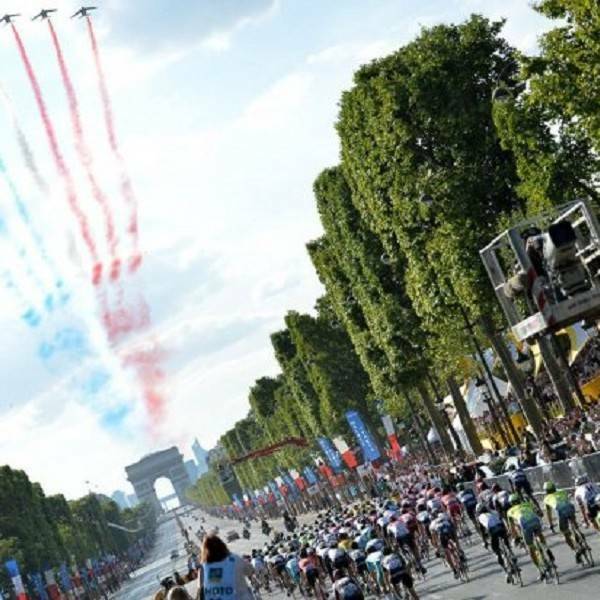 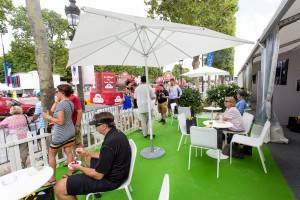 Located near to the finishing line, the “Élysée” zone is a new offer for the 2019 Tour de France finale, and is as close as it gets when it comes to the sprint finish and awards ceremony. 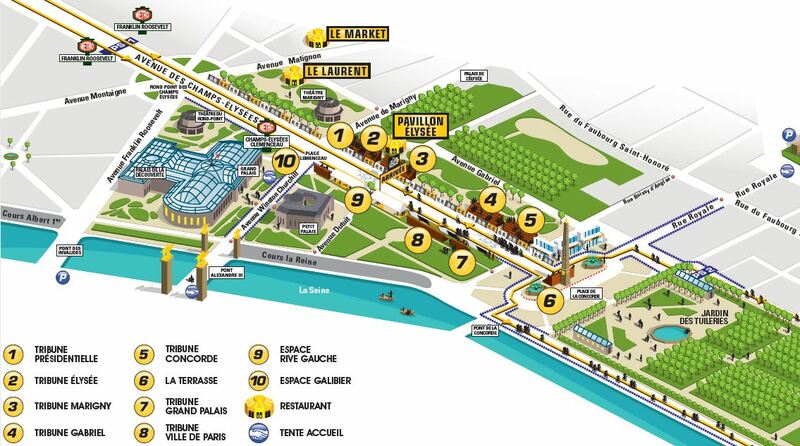 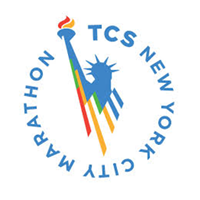 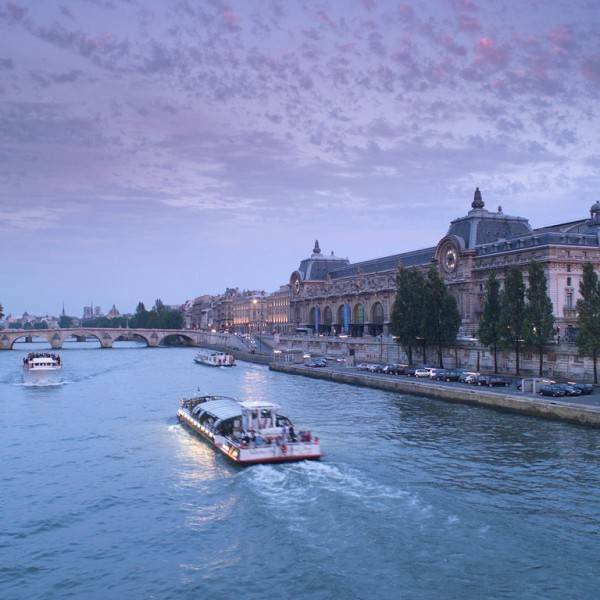 Located in front of the finishing line, the “Rive Gauche” programme provides a high-quality service. 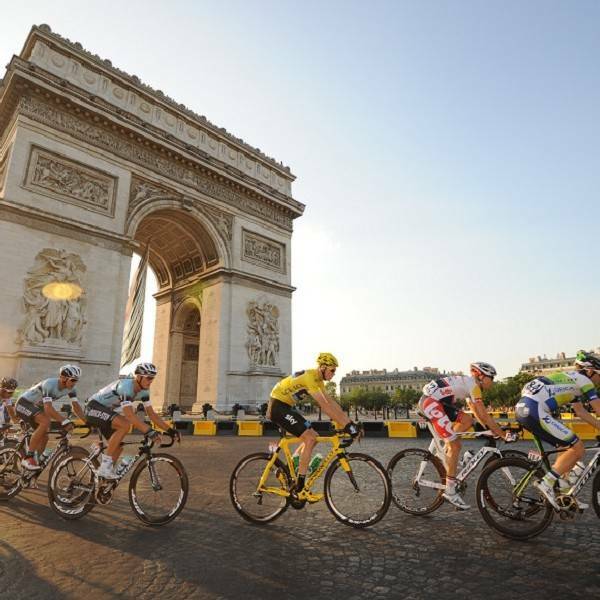 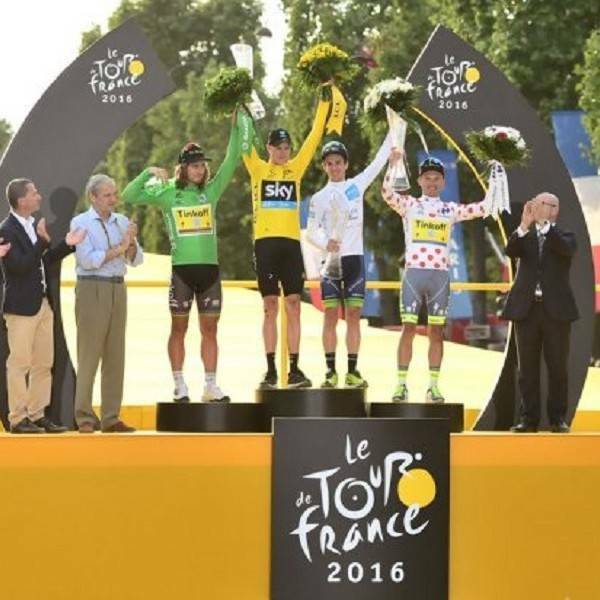 You will have a front seat to experience the enthusiastic final finish of the 106th Tour de France. 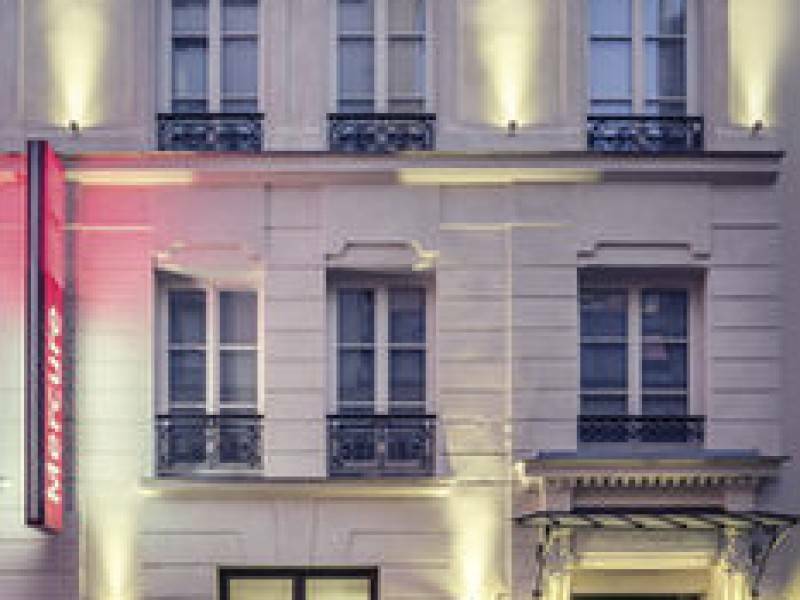 The Hotel Mercure Wagram is a 4-star Paris city centre hotel close to the Champs Elysees. 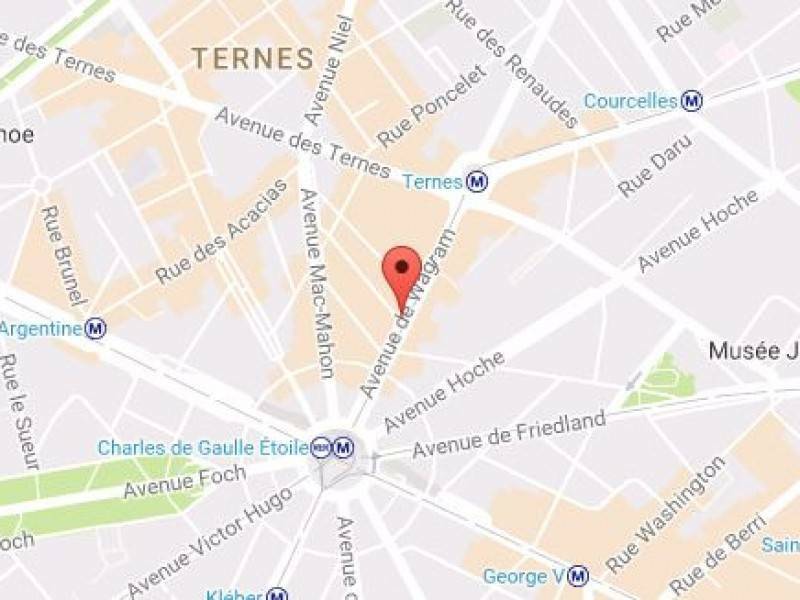 Located in 17th Arrondissement, this hotel is within a 10-minute walk of Place Charles de Gaulle Etoile and Arc de Triomphe. 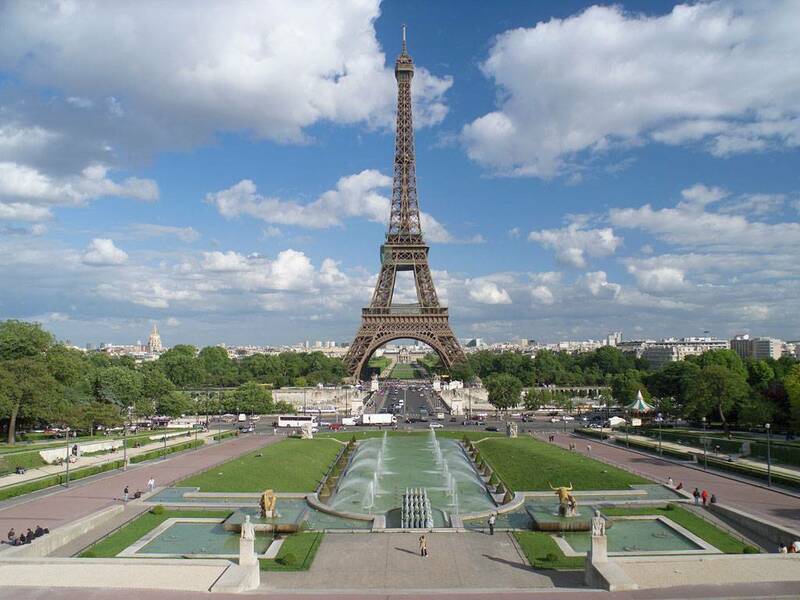 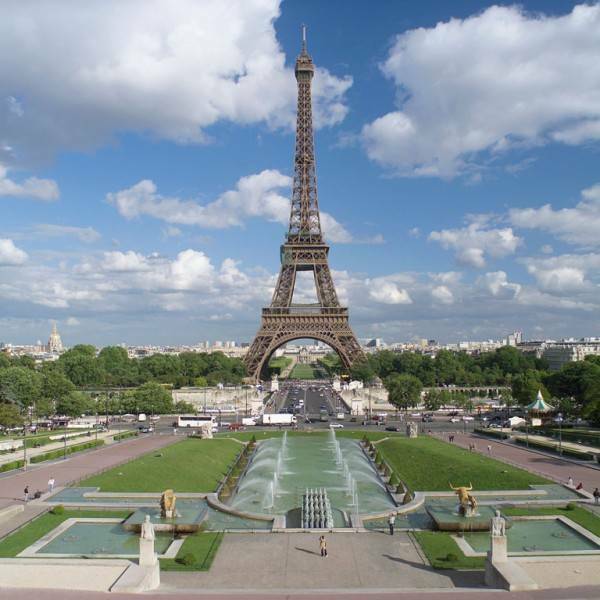 Parc Monceau and Palais des Congres de Paris are also within 1 mi (2 km). 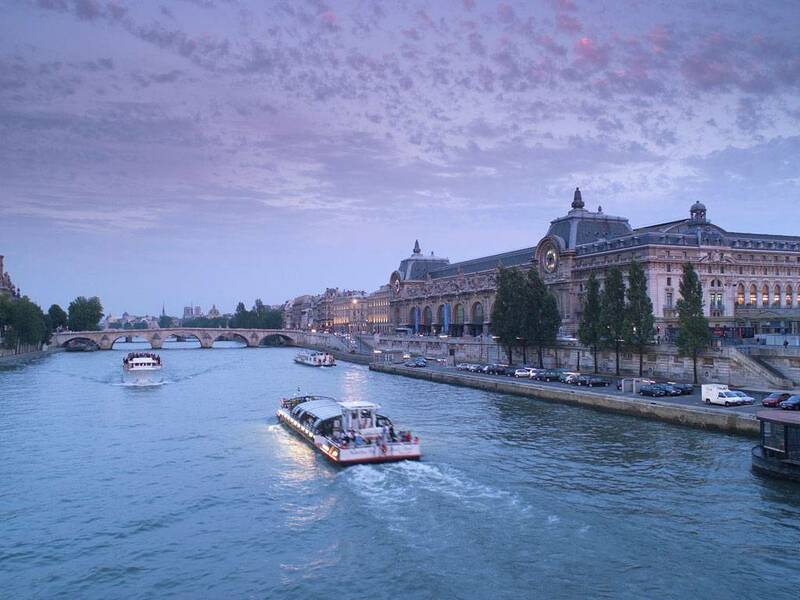 This hotel features a bar/lounge, a 24-hour front desk, and free WiFi in public areas. 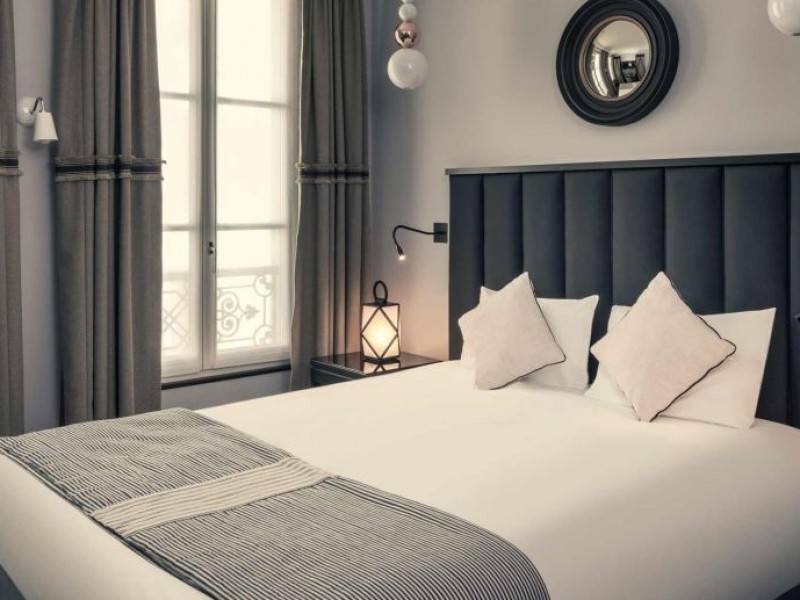 All 43 rooms boast deep soaking tubs and offer free WiFi and flat-screen TVs. 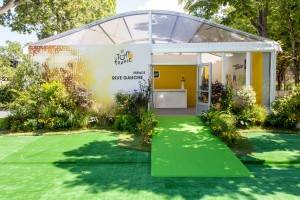 Guests will also find satellite TV, mini-bars, and coffee makers. 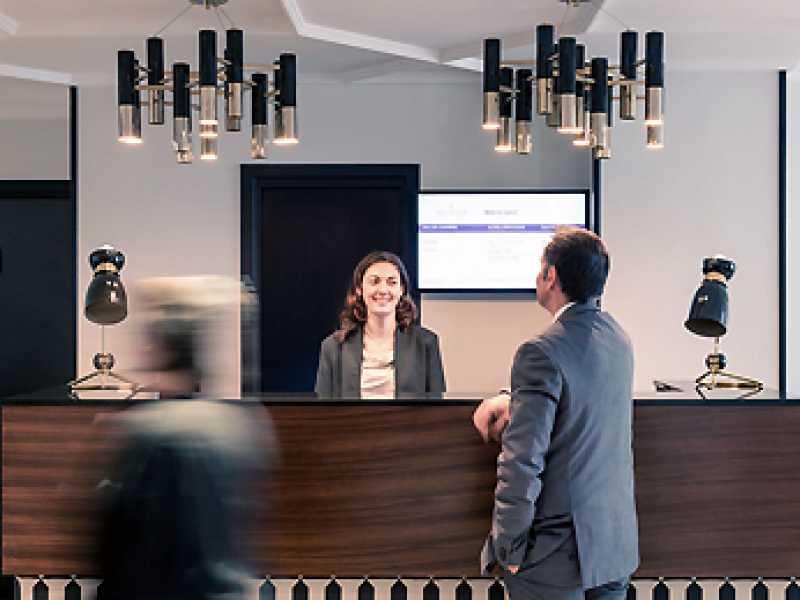 A warm welcome which invites you to relax after a day working or shopping in the capital. 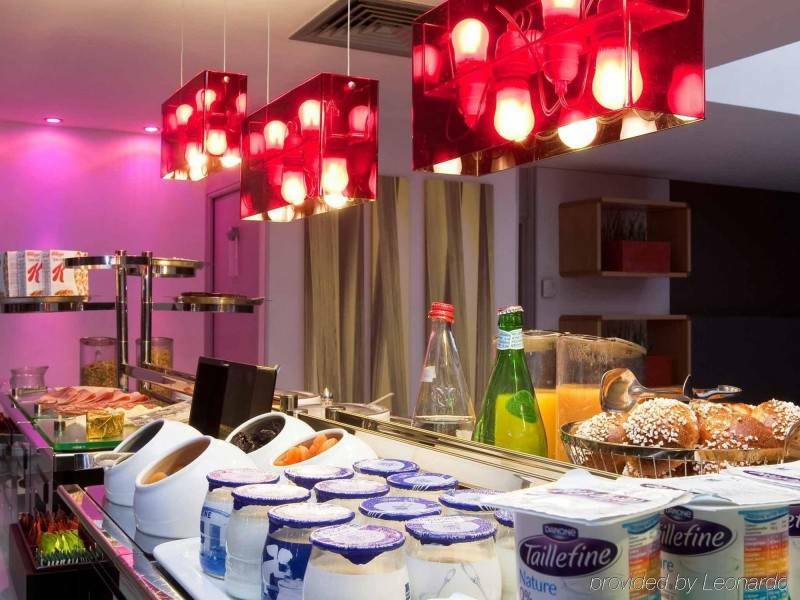 Enjoy a delicious breakfast before setting off to discover Paris. 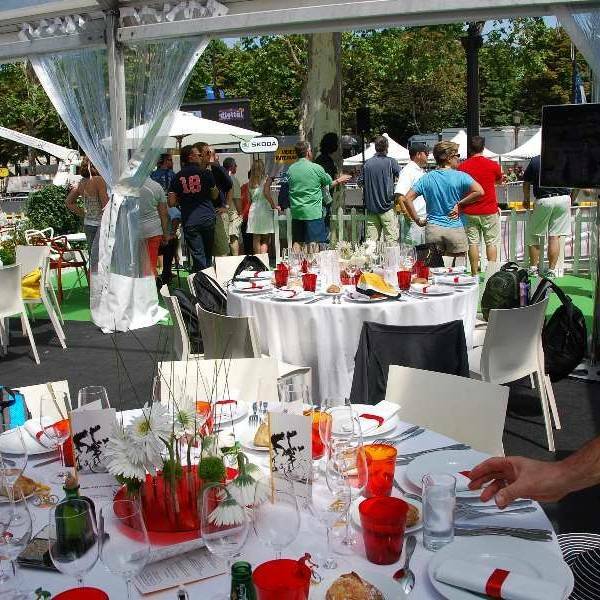 With respect to the selling of these hospitality experiences and grandstand seats, we act as an agent for the event organiser. This means that the event organiser is responsible for the delivery of the event as described in your booking confirmation.